Self-activating safety tech is now available on almost 7 in 10 new cars, with autonomous systems helping to drive down the number of collisions, new analysis shows. 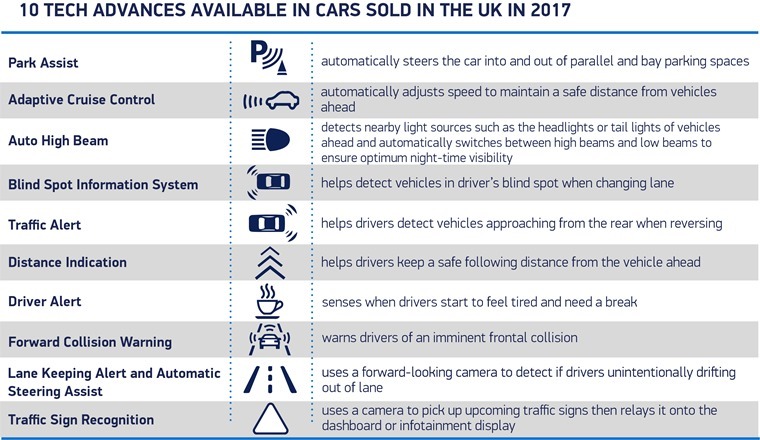 According to data from the Society of Motor Manufactures and Traders (SMMT), some 66.8% of cars registered in 2017 were offered with at least one self-activating safety system – either as standard or as an optional extra – helping road accidents to fall 10% since 2012. 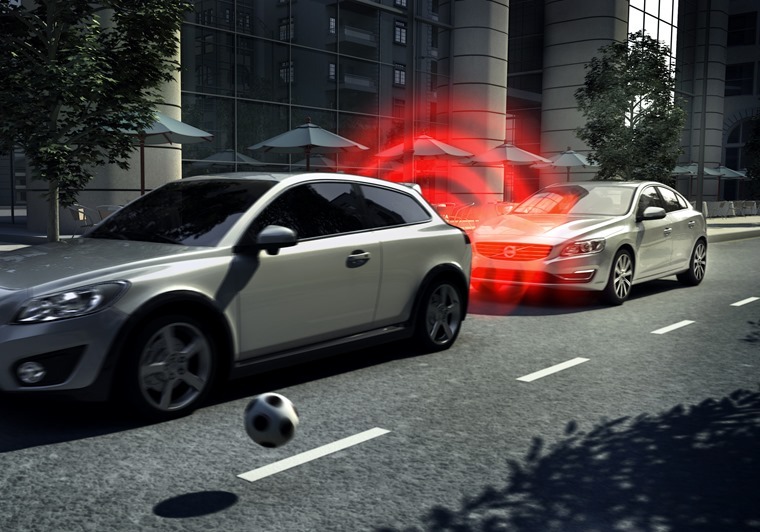 Collision Warning Systems was the most popular tech, with nearly 1.8 million new vehicles a year are now available with collision warning systems alone, up 20% on the previous year. Heralded as a major breakthrough for reducing collisions, automatic emergency braking (AEB) featured on a minimum of 764,751 of cars registered in 2017, and was also offered as an option on 665,118 – 53.1% of the new car market in total. Elsewhere, overtaking sensors are available to 42.1% of consumers and Adaptive Cruise Control – which allows the car to slow down and speed up automatically to keep safe pace with the vehicle in front – to 36.2%. A 2015 report by the SMMT predicts these new autonomous technologies could reduce serious accidents by 25,000 and save up to 2,500 lives by 2030. Additional research also found 6 in 10 people think it will improve quality of life, with stress-free driving cited as the biggest advantage. As for 2018, upcoming tech includes Traffic Jam Pilot which features in the new Audi A8. In the right conditions, this allows the car to completely take control of the task of driving in slow traffic and queues. It’ll be a while before you can expect this to filter down into more mainstream models though.